Smooth double/single track with short paved road sections. 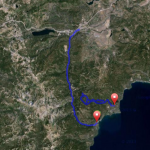 On Hwy 28, near Dollar Point, turn on Fabian Way, right on Village Rd., left on Country Club Dr and you will arrive at the Tahoe XC Center trailhead. 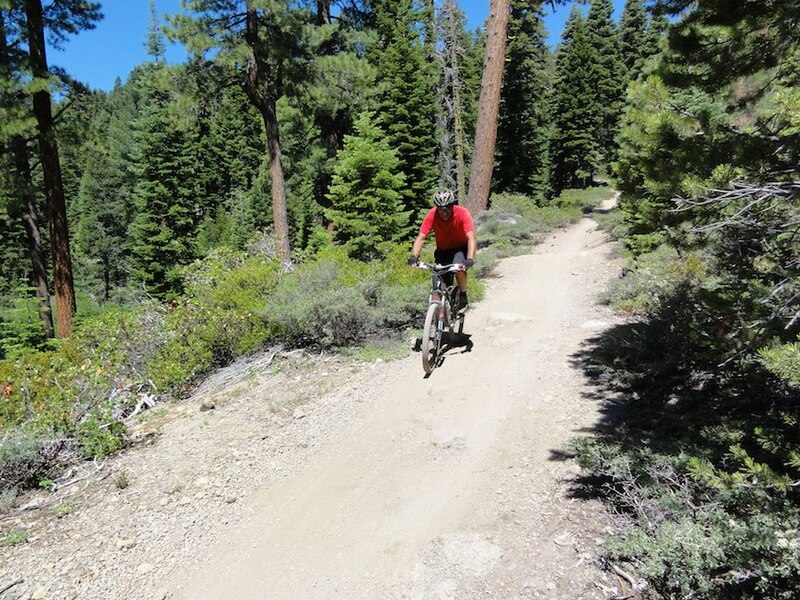 The ride begins and ends at Tahoe XC Center – an excellent mountain biking area for the entire family and riders of all ages and skill levels. There are several Green and Blue trail choices. This ride is headed to Painted Rock – a great lookout where to the west you see Squaw Valley’s Headwall and to the north the Truckee area. You begin on a double track through what was to be a golf fairway. Bear right and you will come to a single track and take it. Follow the map and enter Burton Creek State Park and continue onto a paved logging road (Mt. Watson Rd.) where you turn right. 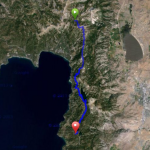 You begin climbing up the road about 1.5 miles with an eye out for the Tahoe Rim Trail (TRT) on your left. Take it and climb up to Painted Rock – there is a knob of a rock outcropping on your right with great views and ideal spot for a snack. 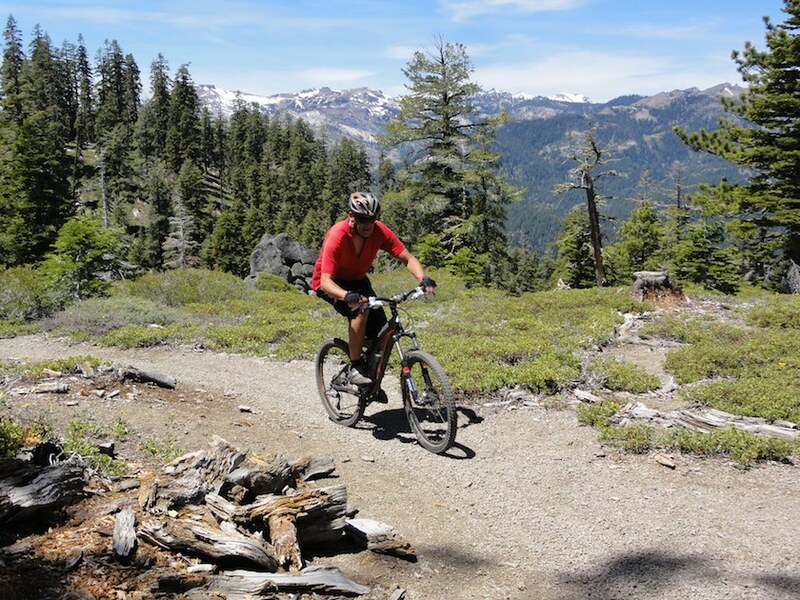 Continue heading west on the single track, bearing left, and you’ll arrive at a view of Lake Tahoe. From here, the ride gets real fun with short banked serpentine turns. Stay left when you junction with other trails and you arrive on a fast double track downhill. When you arrive at the paved road (Mt. Watson Rd. ), turn left and head uphill .5 miles and there is a turn out on a big left turn. Take the turn out on the right as this is the entrance to another fun single track downhill. Caution here because you can get speed with several “whoop-de-doos” ahead of you – keep your weight back so not to do an “endo” (projecting over the front of the handlebars). When you junction with the double track that you came up turn left and return to the XC Center. There are many riders and runners on these trails. When in doubt of your location, check your position on your smart phone, or ask someone for directions.